Tuesday, July 21st is FoodprintNYC Call-In Day to your City Council representative! You know by now that farm animal production wreaks havoc on our environment. By increasing the availability of local, just and sustainably-produced fruits, vegetables and whole grains, New York City can decrease its ecological Foodprint. This resolution would help the city meet its goals of reducing its greenhouse gas emissions, while increasing access to local, healthy plant-based food, particularly in New York City’s underserved communities. The Foodprint resolution, organized by the NYC Foodprint Alliance - a collaborative network of organizations, including Farm Sanctuary - also builds on the environmentally-friendly policies and programs recommended in the Manhattan Borough President’s 2009 report “Food in the Public Interest.” Get involved! What, You Think This Runs on Air? Actually - yest, it does. 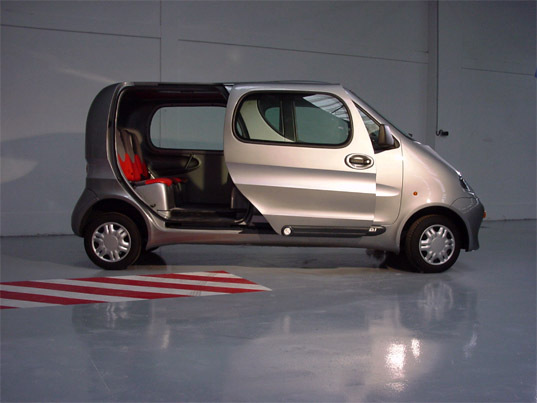 A car manufacturers and developers in France have developed a car that runs on compressed air. The fruit of more than ten years of researches, MDI’s mono-energy engines operate on a totally eco-friendly basis using compressed air stored at high pressure. These engines are used on vehicles designed for urban use, backup generators or industrial tractors. They are particularly tailored for applications where the torque has an importance and when an averagely moderate power is needed.